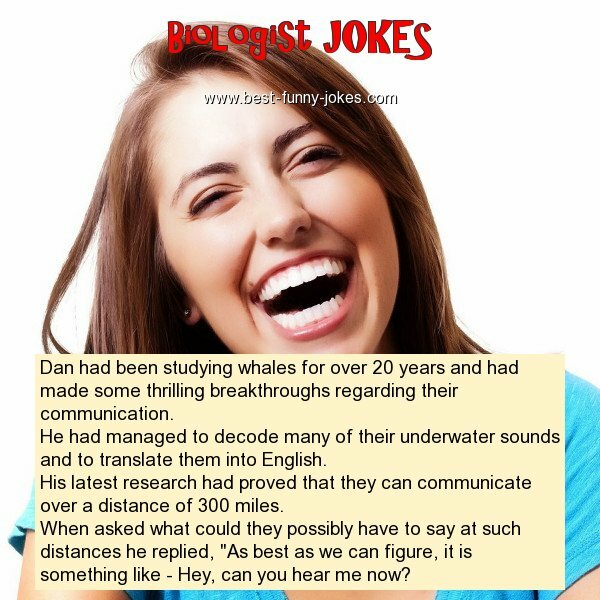 Dan had been studying whales for over 20 years and had made some thrilling breakthroughs regarding their communication. He had managed to decode many of their underwater sounds and to translate them into English. His latest research had proved that they can communicate over a distance of 300 miles. When asked what could they possibly have to say at such distances he replied, "As best as we can figure, it is something like - Hey, can you hear me now?